2005 Dark Huacaya herdsire of the year. Lotus has it all: her medium rose gray fleece is a lovely shade of lavender/violet, she has beautiful conformation, exellent density, gorgeous high frequency crimp, great coverage, and nice hand. Lotus has matured into a very special young lady. *2008 a stellar fawn male who won his first banner at 6 months of age, sired by Snowmass Nova. Our Snowmass Nova son has arrived and has already begun his breeding career. His density will amaze you. His coverage is fantastic. He has great crimp a nice soft hand. As of July 23 2013 he has had 3 cria delivered. All 3 solid colored females. 2 brown and 1 fawn out of brown females. He is everything we were hoping for in a herd sire. 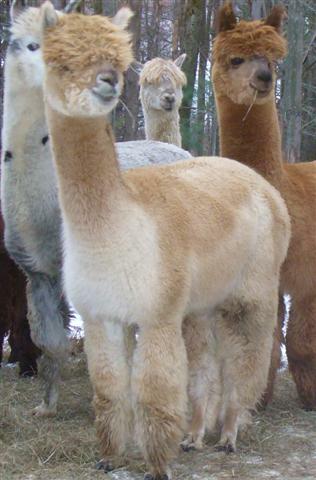 His 2014 crop of cria are incredible. We started with a true black and the rest are light fawn or white. However, several were born at only 9 or 10 pounds. At first I thought it was due to the harsh winter only. But when these tiny creatures got up and nursed and refused to take any supplementing, I knew that Jekyll will produce smaller sized cria. He is on the small side himself. 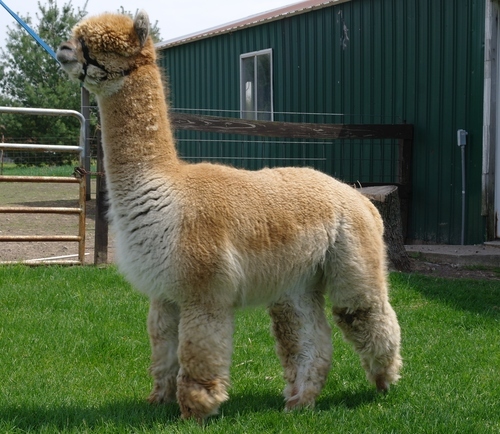 So if you are interested in developing smaller alpacas, this is the herdsire for you. 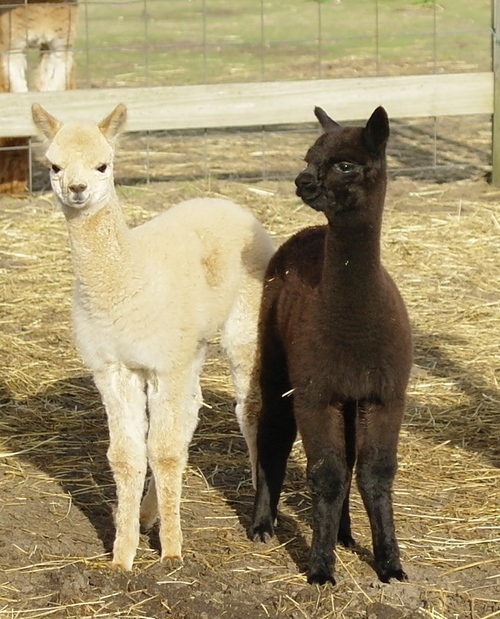 We brought a couple of our very small yearlings to the Michigan Show this Fall. Our True black came in 5th in a competitive class of 9. Expecting to get the gate because of his size, we were so pleased that his wonderful fleece qualities kept him in the top 6. 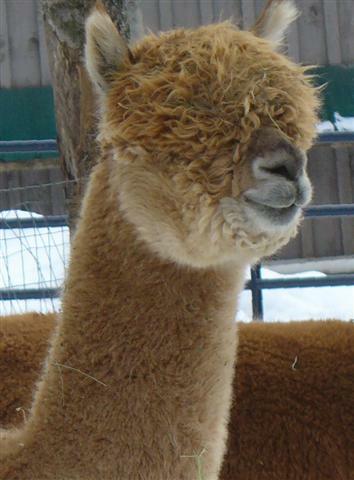 One of the whites was in a class of ten very large alpacas. He did get the gate but the judge made a point of letting us know how great the fiber was but he was just so small. 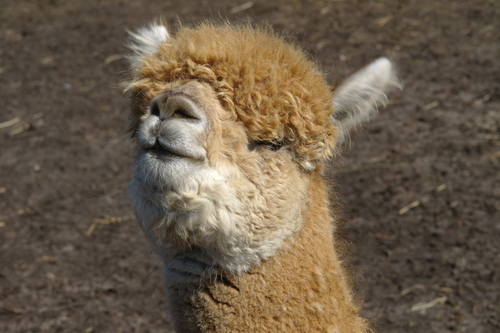 Now we are committed to trying to explore the possibility of creating a smaller yet high quality line of huacaya alpaca. He will be very useful also to breed with females that may be a little smaller and not have to worry about her having a large cria. We have his fee at $200. 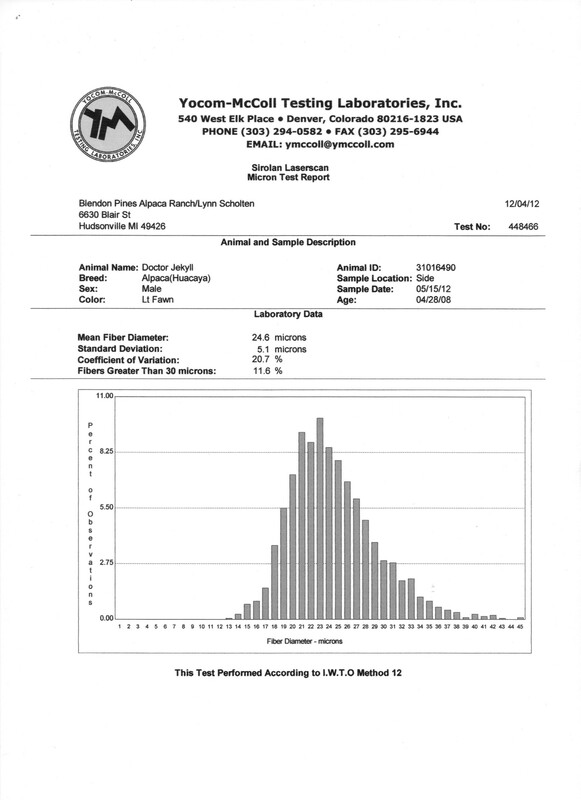 We are willing to discount for multiple breedings.